BioStrata is proud to have been shortlisted as a finalist for ‘Small Business of the Year’ as part of the Cambridge News Business Excellence Awards 2018. The awards culminated in a gala ceremony on 22 March at King's College, Cambridge, which was hosted by John Pienaar, the BBC's deputy political editor. 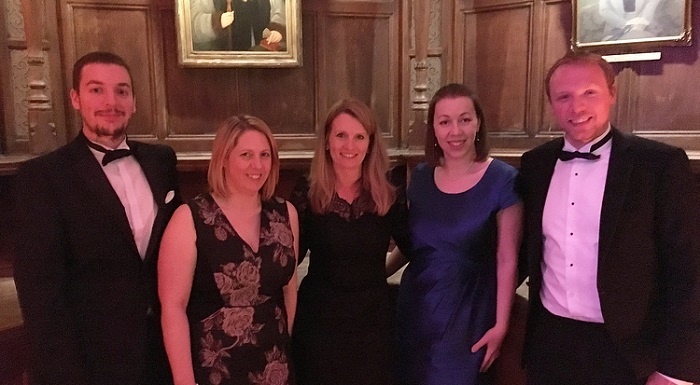 Clare Russell PhD, co-founder and Managing Director of BioStrata, commented: "A huge congratulations to all of the finalists and winners at the 2018 Cambridge News Business Excellence Awards. It was great to hear so many success stories at the ceremony, particularly from the area’s life science sector. The awards demonstrated how Cambridge continues to be a vibrant and fast-growing hub for innovation, entrepreneurialism and business growth. We’re very excited to be part of that and to recruit local and international talent to join our team".